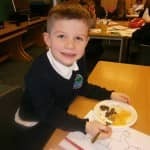 P1 and P1/2 Enjoy a Burns Supper! 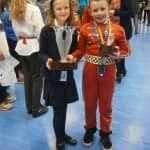 Emma Gamble and Kyle McGregor from P4 had an exciting day on Friday when they took part in the Young Primary Engineering Regional Finals at Babcock Services in Dunfermline…. 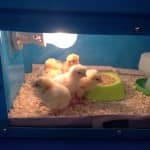 The cutest chicks in town!